Rosemary is Head of the Conveyancing Department at Clapham & Collinge. Rosemary joined Clapham & Collinge in 2010 into the conveyancing team dealing with residential and commercial property. Rosemanry deals with a broad range of conveyancing including commonhold properties and as a result of her local government duties can also deal with compulsory purchase work. She qualified as a solicitor in 1986 and has worked both in private practice and local government since then. 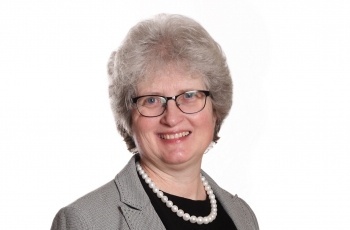 She has extensive experience of both residential and commercial conveyancing and counts her professional highlight as transferring 12,500 council houses to a Housing Association before the General Election in 1992. Rosemary is married to a barrister and has two children. She is also the Chair of Governors of Norwich High School for Girls. 'Just a quick line to thank you very much for seeing everything through on the purchase of ** Close with your usual efficiency! Everything, as ever, went like clockwork and we can't thank you enough.' Client Thank you - May 2017. Don't underestimate the importance of having an individual to deal with that takes responsibility and is easy to contact by phone and e-mail and replies promptly (as well as providing an alternative contact when absent). This made dealing with you very easy and gave me a lot of confidence. You have been fantastic to deal with throughout.